Hi John. Remember me? Marcia McIntyre of Gundagai (I now live in Wagga. My husband Barry died suddenly in Sept. 2013). I enjoyed reading your blog on our James Baker Waldon (which I have just found). Great to make contact with you again. 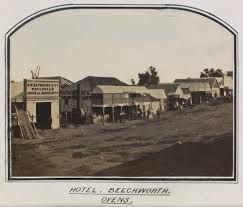 Did you know that at Beechworth,Victoria in 1855, JBW and his de facto wife, Catherine Rhall were sleeping in a tent and Catherine crept out into a tent of a man named Smithers. JBW woke up and found her missing, ran into Smithers tent, dragged her out and beat her to death! He was charged with manslaughter and received two years in Melbourne Gaol! I think he should have been charged with murder! 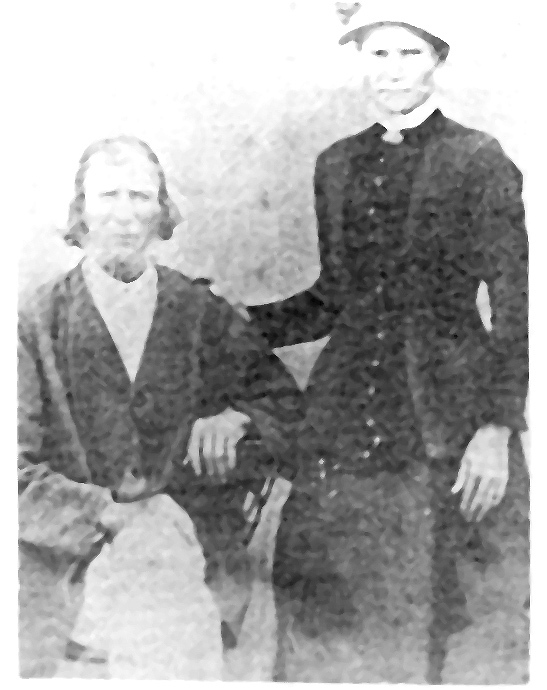 JBW, and Catherine were known as Waldon and also used the alias “Millbanke” (spelt with one or two Ls and with or without the “e”on the end of the surname). I found this on the Trove digitised newspapers at www.nla.gov.au the item is from the Melbourne Age, 17 March 1855. It is really weird because Catherine’s father, Christopher Rhall was also beaten to death at Bong Bong, NSW in 1832! Christopher (born Ireland) was a colour sergeant with the Royal Fusiliers who came out to NSW as a guard on a convict ship. Patrick Kelly was charged with his murder, found guilty but later acquitted. You will find the article in 1855 for yourself if you search Trove for “James Walden” + Milbanke. It is a very sordid and sleazy account of the murder. My first communication with Marcia McIntyre was in 2003, when I accidently landed on a post she had made on Rootsweb, concerning her family history research regarding her husband’s family tree. She was searching for any census records of the ‘Waldon’s’ of Bath. My mother’s maiden name is Waldon, and amazingly, it turned out that I was distantly related to her husband, via a great great uncle, James Baker Waldon. 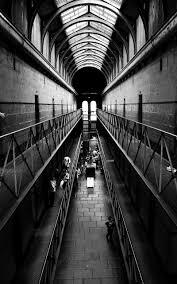 He just so happened to have been a convict, arrested in Bath, in 1831, picking pockets; tried; and convicted to fourteen years, transportation to the Colony of New South Wales. This man then, and what happened to him, and why, became my muse and obsession. 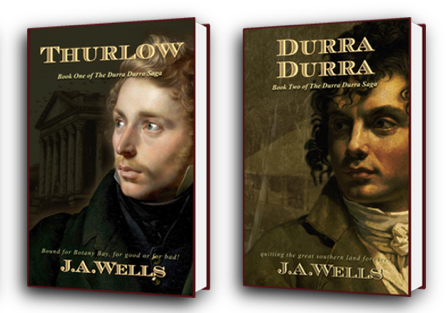 And five years later, I wrote the last words of my novel, ‘Durra Durra’, on the platform of Rhodes, New South Wales, railway station. Thank you Marcia for inspiring the truly wonderful adventure. 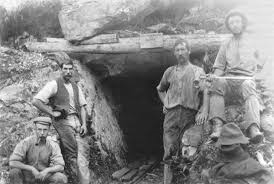 Gold was first discovered near the present site of the Newtown Bridge, with the assistance of a local shepherd in 1852. 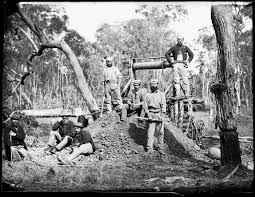 By November 1852, some 1500 miners had descended on the area; by January 1853, that number had multiplied to approximately 8000. During this time, the area was known as Mayday Hills (named by Lieutenant-Governor GJ La Trobe in May 1852). 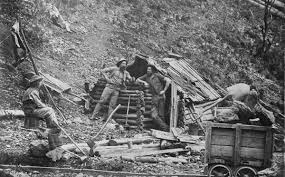 Over four million ounces of gold were found between the years 1852 to 1866, which is worth several billion dollars in today’s currency. 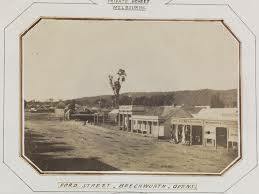 By 1853, a township began to form and the name Beechworth was bestowed by George D. Smythe, the Government Surveyor who planned the first streets and public areas for the town. 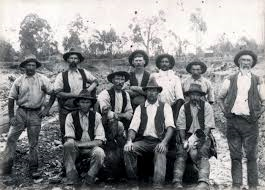 Miners of all nationalities flocked to the Ovens Goldfield including over 4,000 Chinese miners. 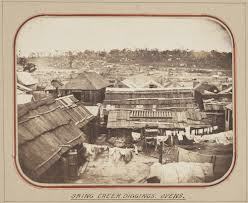 The Chinese encampment had flourishing market gardens, shops, opium dens and a Joss house (temple of worship). Many Chinese miners were buried in their own section of the Beechworth Cemetery, which can still be seen today. The Chinese Burning Towers also remain these were used to burn incense, paper money and prayers and to leave food offerings. The realisation that the gold would not last forever made for substantial investments in public services. 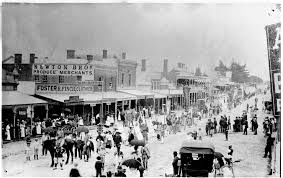 From this period onwards Beechworth became a scene of rapid development, with many of its principle buildings being established, most of which still stand and continue to be utilised today a hospital for the aged, Gaol, general hospital, the Mayday Hills Asylum, Court House, Town Hall and Post Office. All were constructed or upgraded during the 1850s and 1860s. James Walden pleaded not guilty to an information charging him with having, on the 14th of February, at Snake Valley, Beechworth, willfully, maliciously, and of malice aforethought killed one Catherine Milbank. On the jury being called, several of them were challenged by the prisoner. The Solicitor General briefly stated the particulars. He was living at Snake Valley on the 14th of February. He knew the prisoner; he knew the woman who was living with him; did not know if she was his wife. He did not make an appointment with the woman on the night of the 14th. She had said she should come to his tent, and he told her not. He cannot say if she came; he was very much in liquor. He awoke in the morning by being told a man was beating a woman. This was at sunrise. He went out and saw the prisoner standing over the woman. He said ‘ are you a Christian or a brute?’ Prisoner said he was neither; he was a ‘Bloody Turk’. Deceased was leaning against a log, her shoulders much beaten. She had on her chemise. He fetched a woman and they washed the deceased. He went for the police. Prisoner had threatened him with a knife. He did not see the prisoner strike the deceased. He did not see the deceased after going to the police station. Deceased was known by the name of Catherine Waldron alias Milbanke. Prisoner was known by the name of Waldron. 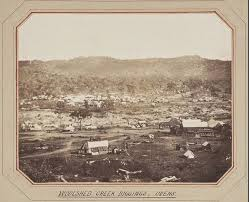 This occurrence took place at the time of the Beechworth races. Witness knew no more of the woman than merely seeing her occasionally. He had a man lived with him named Edward Callender, who was his cook. He knew Callender had stated that the (witness) had said, ‘you must go out of my tent, there is a woman coming to sleep with me.’ He could not say if he had said this. He could not say certainly, what time he had been in bed. The woman, had been fighting, with a person the night previously, at Wallace’s, public house, and he had separated them. He had been taken into custody on a charge, of murdering, the deceased. He had not the woman in bed with him when the man Callender awoke, him. Her husband did not drag her from him. He had not made an appointment with the woman two days previously. He knew nothing of the family affairs of the deceased and her husband. He knew they had a daughter. Did not know if there was more than one daughter. Prisoner had not charged him with seducing his wife, and taking her away from her four children. He did not remember going into the tent of the deceased with a bottle of brandy, and the husband ordering him out on the night of the murder. He was not sure he had not asked deceased to go with him to his tent. The daughter spoken of was about fifteen years of age. Was in the employ of the last witness on the 14th February last. He had slept outside the tent on that night at the request of Smithers. He saw deceased enter the tent of Smithers, who had previously gone in. The husband of the deceased shortly after came, and entered the tent with a lighted candle three times. He afterwards heard a scramble in the tent. He saw the prisoner drag out deceased, and beat her, kick her, and throw her against a log. It was not light then, deceased had on only her chemise. The stick was broken off from a fallen tree. It was about two and a half feet long, and had a knot. Prisoner held the stick in both hands, and beat deceased all over her body. Prisoner, had said to deceased,’ Get up, or I’ll beat you till you do.’ He did not interfere. Prisoner had said he would serve him the same if he did. Prisoner went into the tent and had a glass of spirits between his several attacks on deceased. Smithers was all this time asleep. Prisoner had commanded him (witness) to hand him the liquor, which he believed was brandy. On the second attack on deceased, he had called up Smithers who had kept him off, and prisoner said he would get a knife and stick him (Smithers.) Witness then ran away into the bush. When he returned they had all left the tent. He did not know any of them by name. He did not see deceased after this. Cross-examined before this evening he had not seen deceased and Smithers together. When Smithers came in, he asked witness to sleep outside, as there was a woman coming to sleep with him. He saw her come; she was dressed. Prisoner did not say anything when he went into the tent. Did not think prisoner was worse for liquor. He had never seen the woman before; he saw a woman’s dress on the floor in the morning. He did not see prisoner use any other weapon besides the stick. Prisoner said, I am a Turk, I am a oannibal,’ on being remonstrated with. Deceased went by the name of Mrs. Milbanke. Prisoner was known both by the name of Milbanke and Waldon. Remembers the morning of the occurrence. Saw the prisoner very bloody. The woman Milbanke was quite dead. The body was about 120 yards from Smither’s tent. The body was covered up. He did not examine the body. There was a track from the spot up to Smither’s tent, and he found on this track a hat belonging to the prisoner, also a bloody shirt. There were marks of blood around the tent, also a bed outside. The body was not concealed; it was lying amongst holes, and might easily have been thrown in. A man named Edward Gibbs gave him the alarm on this occasion. Witness did not know why prisoner was called Milbanke. Did not know till next morning of was quite dead. Prisoner was also lying on the ground, as if asleep. He examined deceased with the doctor. (Witness produced a stick, which Callender, on being recalled, said was the one with which prisoner struck deceased.) Prisoner had told witness that deceased had been married to him eight years. Believes prisoner was sober, but he became excited. Cannot say why prisoner had lain down beside the body. Witness judges of the condition of a person as to being drunk or sober by the difficulty he finds in taking them into custody. There were six wounds on the scalp. There was no fracture of the skull. There was hemorrhage from these wounds. Mr. Ireland, in opening the case for the defense, remarked that there were extenuating circumstances, which sometimes mitigated the crime of murder, as, for example, the fact of the victim of an attack being found in the adultery. He thought the present case was an example in point. He reviewed the evidence of Smithers and remarked that this witness remembered only just sufficient to shift the offence from his own shoulders, and transfer it to those of the prisoner. The evidence of Callender was conclusive. If ever there were circumstances, which ought to mitigate crime, here was an instance. The prisoner might possibly have been drunk, for, unfortunately, people living in the sphere of the prisoner were too much in the habit of indulging in intoxication. The jury could not with anything like justice, find any other verdict save that of manslaughter, with the most mitigating circumstances. The deceased had received blows in the fracas at Wallace’s, and if the jury thought that injury had been at all concerned in producing her death, they must acquit the prisoner. The conduct of the prisoner was anything but that of a man in his sober senses — he had missed his wife from his bed, in a state of excitement he had gone in pursuit of her, he had taken no knife or other weapon, and in this condition had committed the offence. He claimed the sympathies of the jury for the prisoner, who had already suffered sufficiently by seeing his unhappy children thrown friendless on the world. His Honor in summing up, gave the legal definition of murder. As to the facts, there was no doubt about them. His Honor defined also the meaning of the word ‘ maliciously’ as applying to this case. If the jury were of opinion, that this act was not done maliciously and of malice or forethought, then the charge of murder was sufficiently disposed of and the verdict must be one of manslaughter. His Honor then, at length, went into the question of extenuation, quoting authority in exemplification of his remarks. The jury would also have to consider whether the prisoner intended going to the length, he did. The fact of his entering the tent three times, before he commenced his attack, was not an indication of ungovernable rage, but seemed to suggest deliberation. It was, however, possible that the prisoner was waiting to witness the consummation of the crime he suspected, and did not proceed to the attack until he was fully satisfied of this. He did not think he should be justified in directing the jury to find any verdict less than manslaughter. Mr Ireland wished His Honor to remind the jury that it was in their power to acquit on the grounds of temporary insanity. His Honor thought there had been no evidence in proof this. Mr Ireland rose to request that the sentence be deferred, as he would be able to produce witnesses as to character, who were not now in town; there was, however, a testimonial, which he was sorry, he could not produce, but spoke favorably of his character, and of his being a married man. His Honor said he had no objection to take this into consideration in passing sentence. He said he would not inflict pain upon the prisoner by reviewing the circumstances; he had no doubt the prisoner had already a sufficient monition before him. He should say, if he were allowed to say it, that he should have been inclined to look with more leniency on the case if he (prisoner) had raised his hand against the seducer of his wife. The sentence of the Court was that he be kept to hard labor on the roads for a period of two years.